Before you invest in a poodle, it's nice to know how to go about picking a dog. 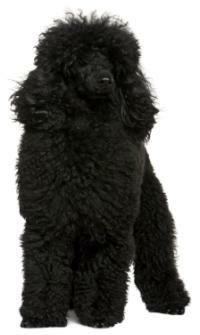 It's best to read up on them, read our website and learn what time and financial commitments are needed to be a proud poodle owner. 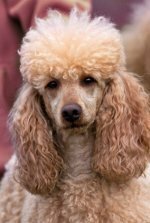 It's important that you buy your poodle from a reputable breeder. You can also check at an animal shelter for pet rescue adoption or look for a rescue standard poodle, toy or mini in your area. While there is no questionnaire and no waiting to take your puppy home from a pet shop, it's best not to purchase a pet from one. The mother won't be there so you can't observe her, you can't get a health guarantee, and you won't know if the parents had health checks. Pet shops normally don't take puppies back, if they do they will just exchange one pup for another. Pet shops usually charge a price comparable to a breeder's. It's better to look into toy, miniature or standard poodle adoption at a local shelter. Before picking a dog, check your poodle puppy before you purchase her. She should have a clean, shiny coat, shouldn't be limping or falling down, shouldn't have sores, her eyes should be bright and clear, her ears should be pink with no discharge or odor, her belly should be pale pink with no rash, and her abdomen should not be distended. Check out the mother for signs of illness, too. Decide on the size of poodle you want and how he will fit into your life. If temperament is a concern, spend time with the pup's parents. Although color shouldn't make or break which puppy to choose, poodles do come in a variety of colors if you have your heart set on a certain color. Observe the pups as they play together, this will also give you a clue to their temperaments. Which pups seem more aggressive, shy, fidgety or laid back? Which temperament fits your lifestyle and family better? Before picking a dog, remember - poodles are not fashion accessories, they are living, breathing animals and need your time, companionship, love, commitment and patience! They cost money - they need grooming, vaccines, trips to the vet, food, bedding, medications, grooming supplies, toys and more. 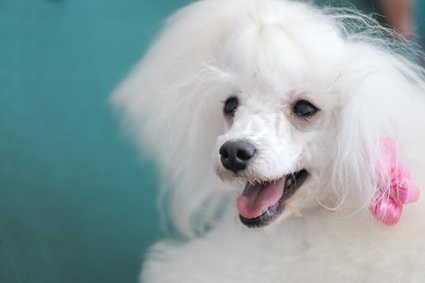 Make sure you have the financial resources for a poodle now and throughout the years. Before you decide to bring that cute curly haired baby home, make sure you and your family are ready for the responsibility a puppy, then adult dog, will require - for up to 18 years! Each family member should be willing and able to do their share of loving, playing, exercising, feeding and nurturing your pet. Poodles are pack animals and will want the equal attention of all family members. They love routine, companionship and have to feel safe. Make sure all family members can respect the dog, help her live in a safe environment and love her unconditionally. The feelings will be reciprocated. Your pup will need training, and while it's beneficial to have several family members help potty train, it's most helpful to have one person who can be in charge of the training, preferably someone who is at home a lot during the day. A puppy is an important addition to the family. By making sure each family has the commitment, time, love and patience before you purchase a poodle puppy, the puppy will grow into a lifelong and loving companion.